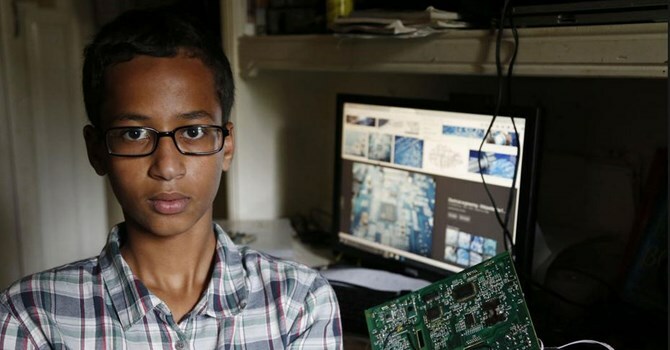 As I was preparing this sermon for a clergy group last week, I came across a story in the Washington Post about a 14-year old youngster in Irving, Texas, named Ahmed Mohammed, who built a clock but was arrested because one of his teachers thought was a bomb. Try as I might, I couldn’t tear myself away from that story. The youngster, who liked to create things, was proud of his work and showed his engineering teacher who was obviously not overwhelmed. He told the young boy not to show any other teacher. Later that day, he was pulled out of the classroom, put in handcuffs, interrogated, taken to a juvenile detention center and finally released to the custody of his parents. He has been suspended for three days from school for the simple crime of wanting to impress his teachers. The news of the arrest has gone viral. Both Facebook CEO Mark Zukerberg and President Barack Obama have rallied to the young man’s support. One youngster has provoked the conscience of America, touching the hearts of those who stand against discrimination, injustice and islamophobia. This verse from our Gospel reading, seen by itself, is pretty seductive for a preacher. The idea of Jesus holding a little child in his arms evokes warm and fuzzy feelings of sentimentality that immediately grab everyone’s attention. But Jesus wasn’t doing this to be cute. When he hears his disciples arguing about who was the greatest amongst them, he gathers a small child – the most vulnerable of God’s greatest creation – places him among the disciples and tells them that this is the image of greatness. We shouldn’t strive for personal recognition, or self-promotion, Jesus warns. Greatness is found more in humility. I came to that conclusion in reading a sermon by Barbara Brown Taylor which appears in her book, Bread of Angels. Taylor’s contention is that children can do nothing for you. They can’t give you a job reference; they can’t lend you a hundred dollars, or buy you a present for your birthday. They have no status, no influence, no income. They don’t count. But that’s exactly what makes them great in God’s eyes. We make a big fuss over kids these days, not like in Jesus’ time. Sure, children were loved in the time of Jesus, but more than half of them did not live to be adults. There were all kinds of illnesses and hunger and famine. Many children, particularly girls, were killed at birth. Others were simply put out in the field to starve to death. In times of shortages of food, children were fed last. None of this was intended to be cruel, but because people felt they had to do these things in order to survive. Children had no rights. They were lower than second class citizens. Oh sure, when they grew up they would be useful as another worker to help bring income into the household. But as children, they were just another burden. 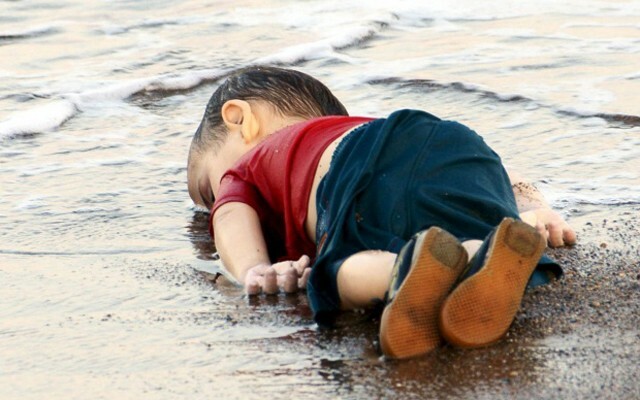 However, before we develop an attitude of righteous indignation, consider that today, despite the fuss we make over kids, some of those same attitudes persist – perhaps not to the level of cruelty that existed in Jesus’ day – but they persist nonetheless. At our Southern border; children who arrive unaccompanied by adults in order to escape violence and poverty in their homelands, are incarcerated. How does that demonstrate welcome? The United States is not alone in lacking hospitality. In Hungary, Middle Eastern refugees and asylum seekers, risking death to escape death, are prevented from reaching their desired destination of Europe. I often use statistics from the Bread for the World website that points out the deplorable conditions of poverty globally and in our own country. Every year, 2.6 million children die as a result of hunger-related causes. In the U.S., nearly 16 million children — one in five — live in households that struggle to put food on the table. Even with more than one in five U.S. children at risk of hunger (one in three among African-American and Latino children), funding for these critical anti-hunger programs is being challenged. And even more astounding is the thought that the financial cost to end most of these child deaths, it has been proposed, is about $2.5 billion a year, which is the amount Americans spend on chewing gum. Political candidates make an issue of the economy, who’s paying taxes and who isn’t. But there’s no human face attached to these issues, and the question of poverty doesn’t even come up in the race for political power and prestige. I raise this concern not as a way of pointing the finger at anyone, or any one group; simply to note that children still occupy a lesser status today, despite our contradictions. So, who are the children today? Who are those people who are not highly regarded? Who are those without a place of their own; those without a leg to stand on; those whose voices are heard not because they have a right to be heard, but only because the more powerful indulge them from time to time? Who is seen as less important, by us, and by our society? Today, the gospel calls us to look at power in a different way. We are called to show the ‘power’ of service, and to reach out to those who hold no reward for us. Likewise, to expand on Barbara Brown Taylor’s point, to imitate children is to understand our own selves in the same manner. Instead of striving for significance in power, political or otherwise; titles, honors, and success, as if those might gain us favor with God or man, we enjoy the knowledge that we are simply human beings loved by God. To live as a child is to live free of the self-justifications that adults use to prove their worth, and the heavy burden of self-consciousness about our status. To live like a child, says Jesus, is the only way to enter his kingdom. God has seen our needs and powerlessness and, in Jesus, has come to stand with us, die for us and offer us his risen life now, as members of the Kingdom of God.